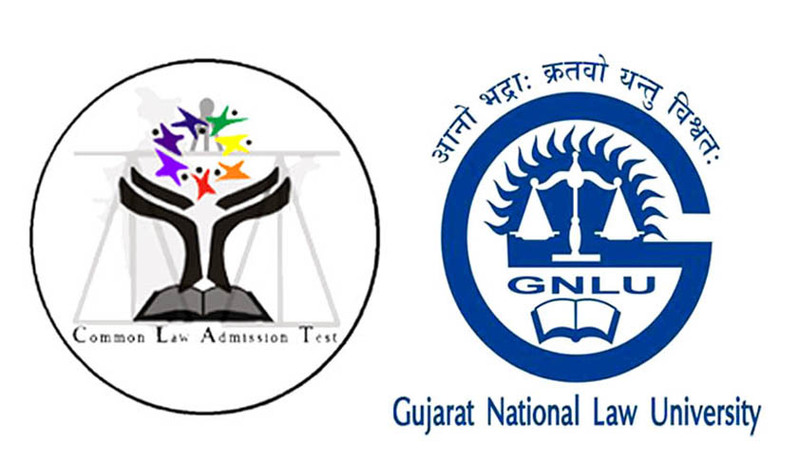 CLAT 2014, conducted this year by GNLU, was held on May 11, 2014 between 3:00 pm and 5:00 pm. The paper was largely on expected lines. The pattern of the paper was quite similar to that of last year. However, the difficulty level is said to have gone down by a notch. This is likely to push the cutoff northwards. The paper had a total of 200 questions spread across five sections – English, GK, Elementary Mathematics, Logical Reasoning and Legal Aptitude. There was a negative marking of one-fourth of a mark for each incorrect attempt. Touted to be amongst the easier sections of the paper, the English section was as expected. There was one Reading Comprehension passage (450-500 words), followed by 10 questions, which was rather easy. There were 5 questions on Idioms and Phrases which the students could have found slightly tricky. About 3-4 questions on Para-Jumbles also appeared, which were again not very difficult. Then, there were 4-5 questions on Legal Maxims which could have troubled the students if they were not very familiar with them. There were about 4-5 questions on Fill in the Blanks which were mostly grammar based (preposition and tenses). 4-5 questions of spellings also featured which were easy. Overall, the level of difficulty of this section was easy. This section should not have posed any problems for the aspirants as the level of difficulty was low. Breaking away from tradition, mathematical concepts played an important role. The entire section was dominated by Analytical Reasoning. Questions from Arrangements, Directions, Blood Relations, Series and Syllogisms appeared in section. Verbal Reasoning was mostly absent with only a couple of questions from premises and conclusions that appeared in the section. Questions such as Statement Argument, Statement Assumption, etc., which often get confusing were also absent from the section. This section of the paper had 20 questions. Most of the questions were straightforward and required application of the basic concepts to arrive at the correct answer. This section was mainly focused on questions from Arithmetic followed by Algebra and Number System. A few questions from Probability, including those on Conditional Probability, also featured in this section. Overall, the level of difficulty of this section was fairly easy. The General Knowledge section in this year’s paper was on the easier side in comparison to CLAT2013. It had a healthy mix of Current Affairs and Static General Knowledge questions, with slightly more number of questions concerning Current Affairs. There were about 5-6 questions from History which were a little tough. Questions testing knowledge of Personalities, Economy, and International Organizations constituted the rest of the section. A good attempt in this section would be about 37-40 questions. To the relief of students, Legal Knowledge questions were absent from the paper. The questions, basically based on legal principles, were primarily from areas such as Contracts, Torts, Constitutional Law and Criminal Law. There were no questions from fringe subject areas such as Intellectual Property and International Law. About 3-4 questions from Hindu Law were also asked. CL students would not have faced any problems due to their familiarity with the material and mocks. Most of the questions were easy and direct, however, they were reported to be a bit lengthy and time consuming. Disclaimer: All information on cut-offs, analysis, answer key and scores are based on independent analysis and evaluation made by Career Launcher. Neither Career Launcher nor Live Law take responsibility for any decision that might be taken, based on this information.